In 2018, NRPA relaunched the NRPA Directors School with a new, innovative curriculum. This year, the NRPA Directors School builds on that momentum as park and recreation leaders come together for a truly unique experience. This pinnacle school represents top-tier learning and a capstone experience for the park and recreation professional’s journey. 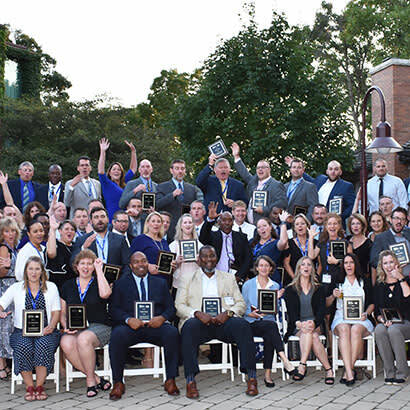 The NRPA Directors School, located at the beautiful Hyatt Lodge in Oak Brook, Illinois, is an exclusive two-year professional development opportunity that prepares new and potential park and recreation directors to be effective leaders. In year one, students investigate the role of the park and recreation director. In year two, they expand this knowledge to gain an appreciation for their role in having a lasting impact on the mission of parks and recreation. The curriculum encourages learning tied to experiential, team-based, case study projects and covers industry-identified topic areas. An all-star cast of instructors delivers content focusing on budget and finance, leadership and development, politics, the director’s functions, strategy and communications. These are all topic areas that provide directors with the ability to meet the needs of our ever-changing communities. This year, the enhanced curriculum is even more interactive, providing intentional conversational experiences that introduce graduates to an exclusive, life-long network of industry peers. The Hyatt Lodge is close to both O’Hare and Midway airports in Chicago. The classrooms and lodging are situated on a serene, wooded campus that complement the collaborative engagement between park and recreation leaders from across the country. If you are ready to take the next step in your park and recreation career — join us August 18–22 at the 2019 NRPA Directors School. But hurry, because this school sells out every year. Learn more about the school, the Toro Scholarship opportunity and register. Josh Yavelberg is NRPA’s Director of Professional Development.